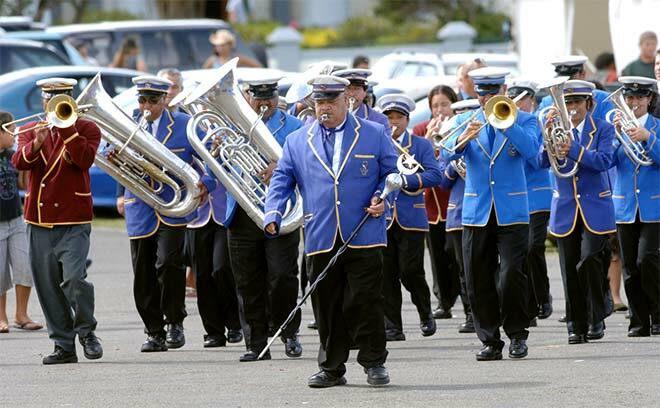 One of the seven Rātana brass bands is seen at Rātana Pā, in the Whanganui district, in January 2007. In the 1930s the prophet Tahupōtiki Wiremu Rātana established seven brass bands, taking his lead from the Biblical account of the musicians who brought down the walls of Jericho. Rātana saw the bands as leading people into the promised land and bringing down the strongholds of oppression. He believed music would soften people's hearts and open them to the spiritual message of his church.